As a loving and responsible pet owner, you want your pup to be as healthy and happy as possible, but sometimes it can be hard for their kibble to contain all the nutrients and important vitamins & minerals they need. Giving your dog vitamins and supplements can make up for what they are lacking in their pet food to ensure they get all the good stuff their bodies need. We know, you’re probably asking yourself “Does my dog really need to take vitamins? and if so, what kind should I give him/her?” Don’t worry, we’re here to help you solve the mystery and give you a few tips on to how to choose what’s best for your fur baby. Here are 10 essential canine vitamins & minerals your dog needs! We’ll start at the top of the alphabet. Vitamin A (a fat soluble vitamin) is responsible for many vital functions, including growth, fetal development and immune function. Carrots actually contain a lot of vitamin A and one of its main functions is to help maintain good eyesight. With that being said, if your dog is lacking vitamin A, it can lead to serious conditions, including blindness. B vitamins are water-soluble vitamins that are essential to help maintain your dog’s healthy lifestyle. B vitamins play a key role in the metabolism of carbohydrates, proteins and fats, so when their supply is limited, the central nervous system can be the first to be affected. Feeding your dog a variety of food containing B vitamins (B12, B6 and Riboflavin) will help normalise the nervous and immune systems function, as well as the production of energy. Another key benefit of B vitamins is that they make your dog’s blood less attractive to fleas! That’s right, we said that. If your pet struggles with these biting pests, you might find that some extra B vitamins (especially thiamine) can help ease your dog’s fight against those bloodsuckers. Just like in your body, vitamin C (aka ascorbic acid) is important for bone growth, development, repairing body tissues and the immune system. It also produces collagen in the body which is a connective tissue that helps the body hold muscles, tendons and ligaments in place. Dogs actually produce vitamin C naturally so, unless they’re sick or stressed which can deplete their vitamin C levels, you don’t need to give them extra. Vitamin C can be found in the fruits, vegetables and organ meats already present in a complete and balanced raw pet dinners. If your pooch needs the vitamin C it will be absorbed, any that they don’t need will just be filtered out of the body naturally. For humans, vitamin D is commonly known as the “sunshine vitamin,” as we get plenty of this nutrient on a nice, sunny day. Dogs however are different, they can only get small amounts of vitamin D from the sun and must get the rest from their diets. Vitamin D is mainly responsible for the absorption of calcium and phosphorus in the body. Giving your dog the right amount of vitamin D levels can help prevent heart disease, joint inflammation, skin and coat problems, dental problems and even kidney disease. 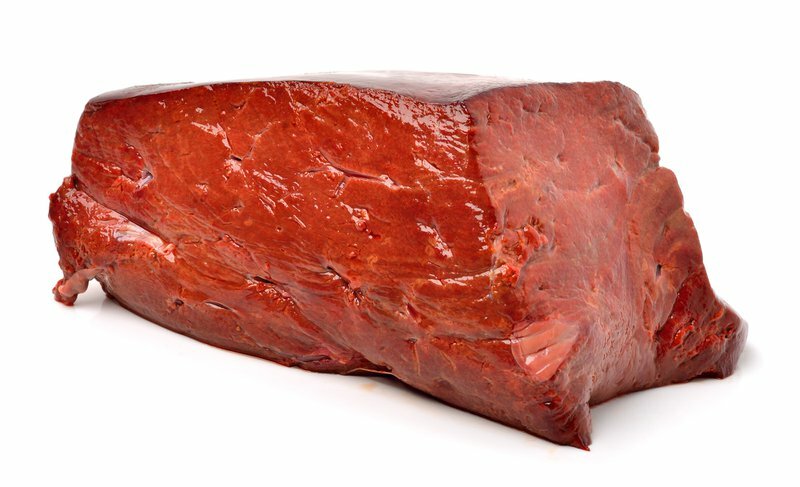 This nutrient can be found in fatty meats and liver. Vitamin E is an antioxidant that helps to protect blood cells and essential fatty acids. Vitamin E is crucial in improving and supporting immune system health, as it reduces the number of free radicals formed and prevents much of the damage that could lead to serious health problems. Vitamin E also strengthens the cardiovascular system by oxygenating blood, which improves circulation in the heart and arteries. While very rare, a vitamin E deficiency in your four-legged friend can cause intestinal disease or reproductive failures. Don’t worry, we know the alphabet around here and are well aware that we skipped a few letters. But all jokes aside, Vitamin K is very important, as it plays an instrumental role in activating your dog’s blood's ability to clot. Dogs who suffer Vitamin K deficiencies may suffer from internal bleeding or altered clotting times. Your dog can get vitamin K through a variety of food sources, such as broccoli, eggs, liver and leafy greens. If you need some help taking care of your dog’s skin, coat, kidneys, heart and immune system health, fish oils and other fatty acid supplements have been known to do the trick. These fatty acids can help help control hormones as well as allergies! If your pup is a little bit older, Omega-3’s can help with their weaker immune systems and any inflammation and infections they might have. Glucosamine helps support bone and joint health and can even prevent arthritis. The natural glucosamine in your dog's body produces glycosaminoglycan, which is used to help form and repair body tissues, such as cartilage. As your dog grows old, the natural production of glucosamine in their body slows, meaning the natural repair process in the body also slows. The ongoing wear and tear on your dog's joints, combined with the slowed repair time, can lead to long term painful arthritis, this is where nutritional supplements like glucosamine can help. Chondroitin is another key supplement, usually taken with glucosamine, which can help slow bone and joint deterioration. Many veterinary nutritionists recommend chondroitin for dogs with degenerative joint conditions as it helps ease inflammation and slows the deterioration of the joints to keep your dog comfortable and mobile. Many dogs suffer from digestion difficulties and gastrointestinal disease. Probiotics help these problems by boosting the immune system and aiding digestion by making sure there is a good balance of healthy bacteria in the digestive tract. Natural probiotics can be found in yogurt, sauerkraut and water kefir. Canine Nutrition, Health And Safety First! It is very important to point out: we do recommend speaking with your vet before making any major decisions or using vitamins for dogs. Here at Rawmate, we care about the safety and health of your dog above all else! If you would like to join us in making sure all dogs get the best source of vitamins & minerals they can in each meal, drop us a line or comment below. With your help, we can bring our knowledge to dog owners the world over. Please, like, share, comment & subscribe so we can keep serving content that has value to you, our readers.